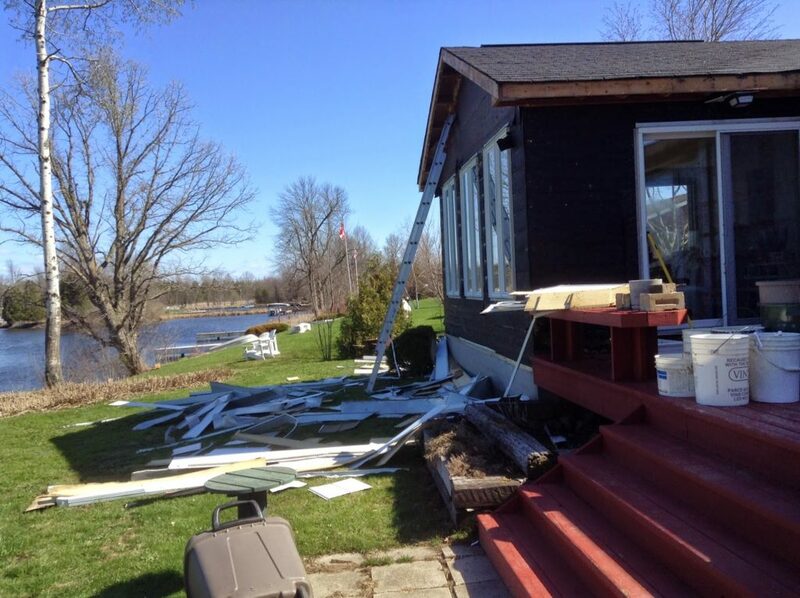 and we are having spring renovations done. 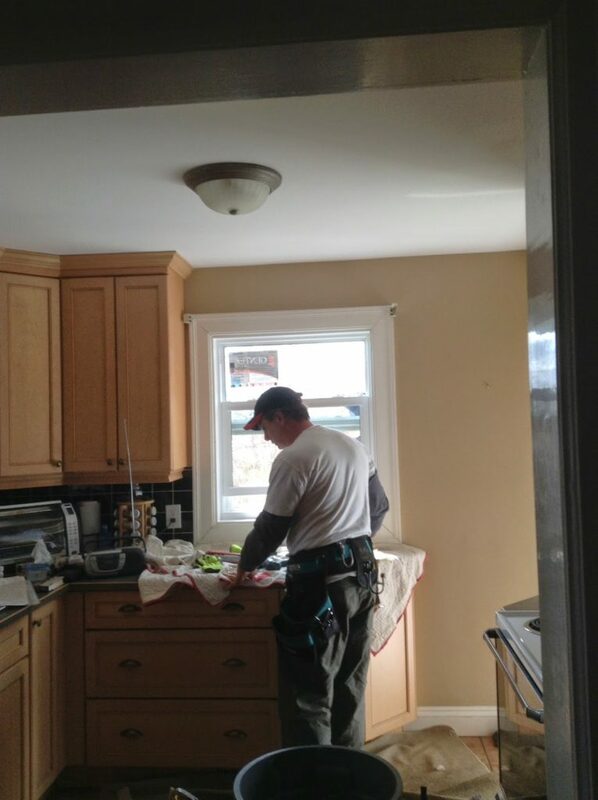 Why is it that after home renovations are complete you totally forget what a pain and a disruption they are…until you go down that road again?! 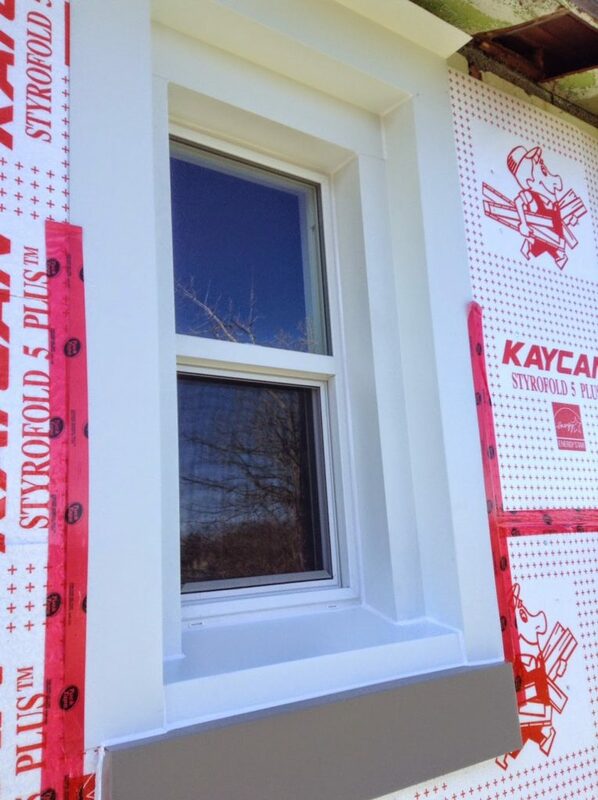 This time (word choice here implies past experience with other renovations aka we should have remembered what we were getting into), this time we are having installed much needed new windows in several rooms and new siding on the entire house. This follows a surprise roof problem, three weeks ago, which required a whole new roof. Our roofing work was completed when I was in New Brunswick with my mum. Thank goodness! 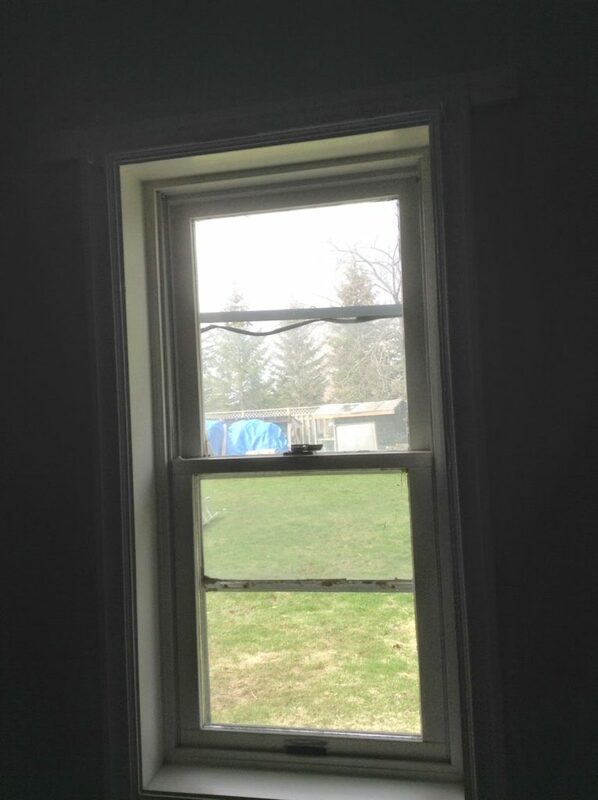 Because when the roofing men were finished, they left the ventilation area under the eaves open… the siding guys were coming in two weeks anyway. Except that… spring is NOT a good time to leave lots of narrow openings into a nice, warm, safe, VERY attractive potential nesting area… in your attic! Birds of all kinds arrived, beaks full of straw and twigs and began to move in. My husband had to stuff all the holes with whatever was handy. And then unstuff at intervals to let out the birds who were trapped. Have I said that I am not good around birds? Below is a shot of the back of the house complete with aging siding, ugly windows and one bright red golf towel used to temporarily discourage avian home builders. The roofers also removed most of our eavestroughing which will be replaced by the siding guys. But not before several nights of torrential rain (I may be exaggerating slightly here) flowed directly off the new roof and into our basement windows. So hubby had to deploy buckets, barrels, whatever he could find to catch the water and then wake up every two hours to dump them. Note: I’m still in New Brunswick when this happens, feeling a bit guilty at this point, that he is doing battle with nature all on his own. Improvised eavestroughing on our deck. We really needed to replace our ancient aluminum siding. 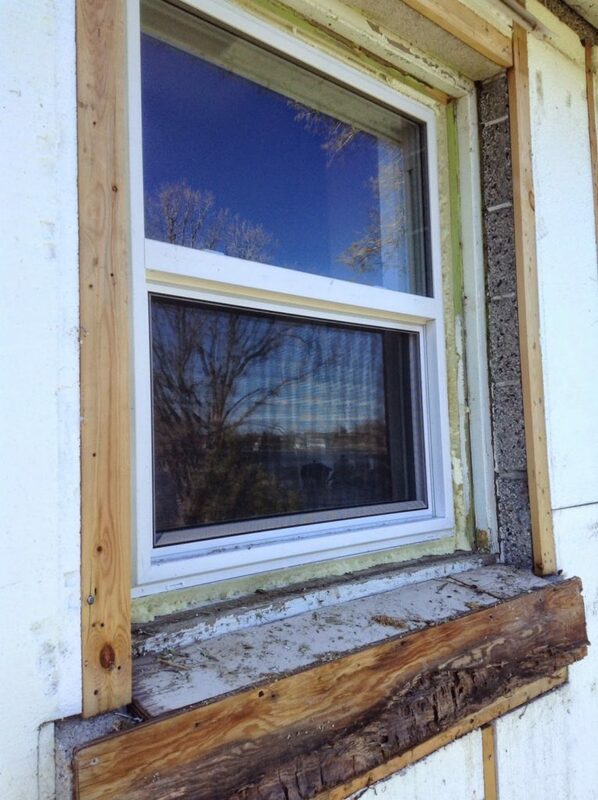 And our old falling-apart aluminum storm windows along with the old wooden interior ones. Work started on the new windows earlier this week. On Day 1, I ensconced myself in our sun room (where we were NOT having work done)… curled up on the wicker chaise with an afghan over my knees (the windows in several rooms had been taken out and it was still pretty cold outside)… with my cup of tea, my book and my i-pad mini. Forgetting of course that my reading glasses and freshly made pot of tea were still in the kitchen (where we WERE having work done.) Sigh. Surviving renovations takes SO much planning. This is Trevor below finishing our new kitchen window. … into this. Magic eh? 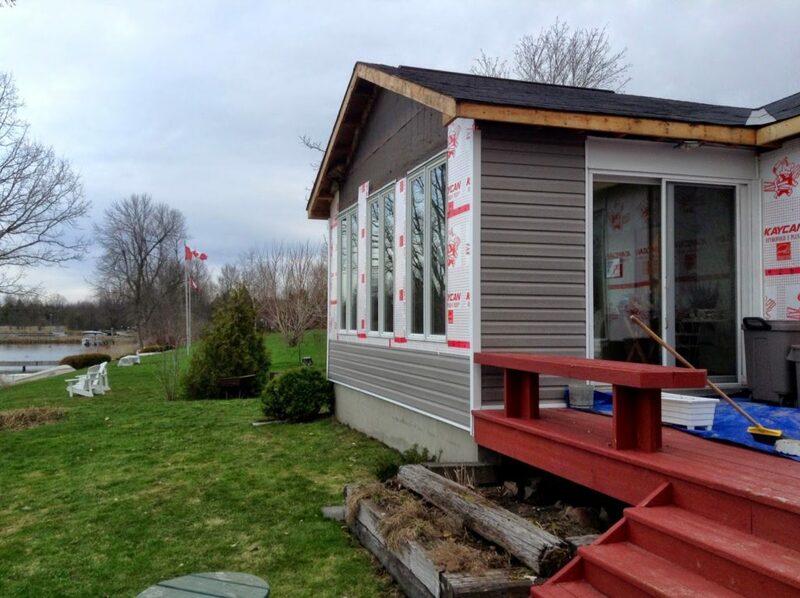 By Day 2 they had started work on the siding. 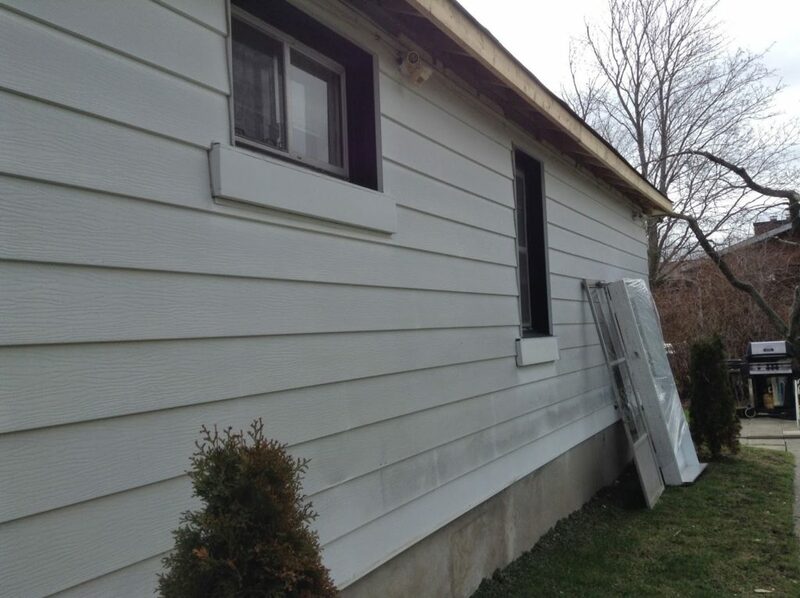 This is what the front of the house looked like once they started removing the old siding. I guess renovations are like having plastic surgery; you have to look really bad before you can look better. Or maybe they’re like a day at the hairdresser… when you have to sit there with goop smeared all over your hair, and those little foil papers hanging in your eyes…and two hours later you leave looking gorgeous. Or at least your hair looks gorgeous… well… it does if you go to my hairdresser. She’s amazing. But as usual…I digress. It’s Day 4 now. The workmen seem to be everywhere. Every time I sit down with a cup of tea I find myself staring out a window at someone on a ladder looking back. I need a break. We need a break. 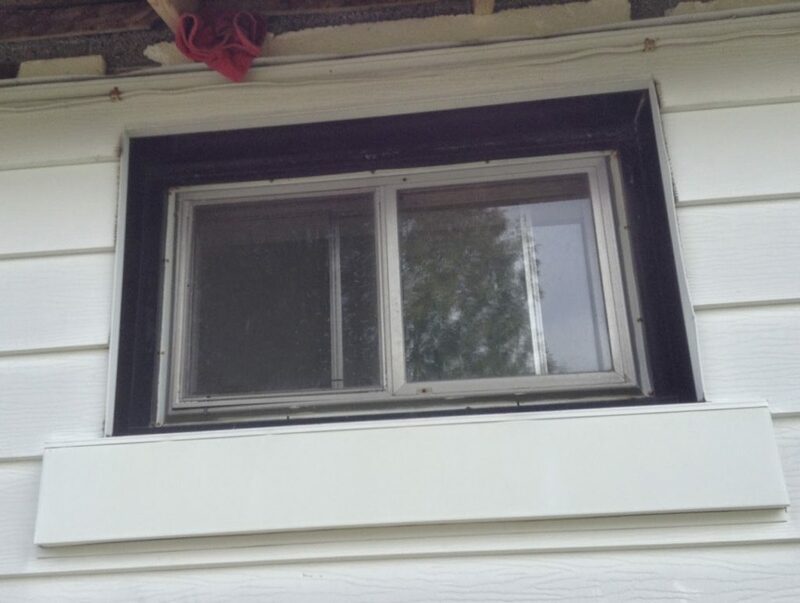 So while Trevor and Terry finish the ripping and removing of old siding and tack on insulation and measure and fit the trim and the new siding itself… Hubby and I escape. On our bikes. 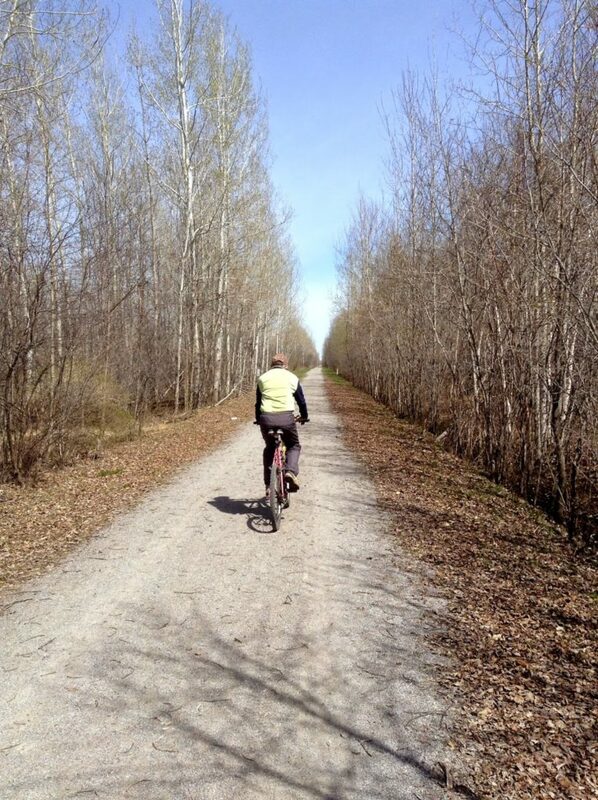 We take the new trail near our home, built on the old railway bed. 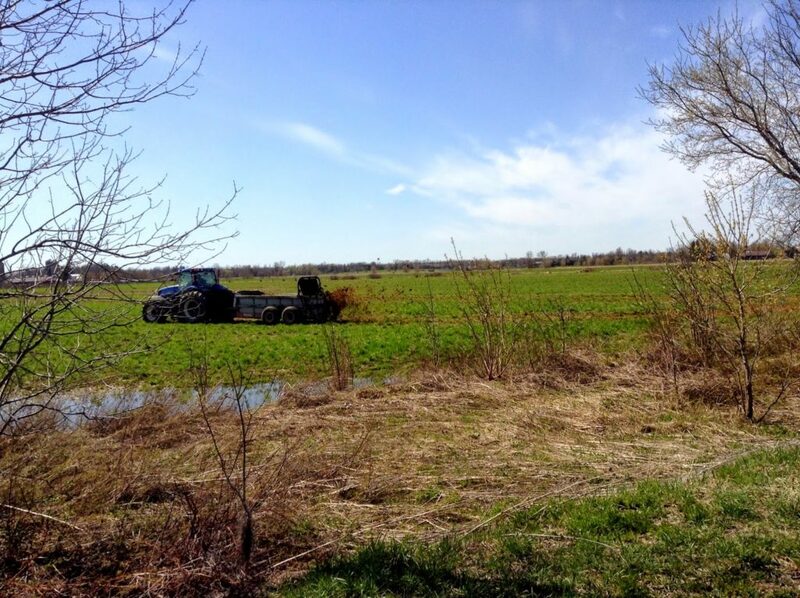 Manure spreading … the smell of spring to a country girl! 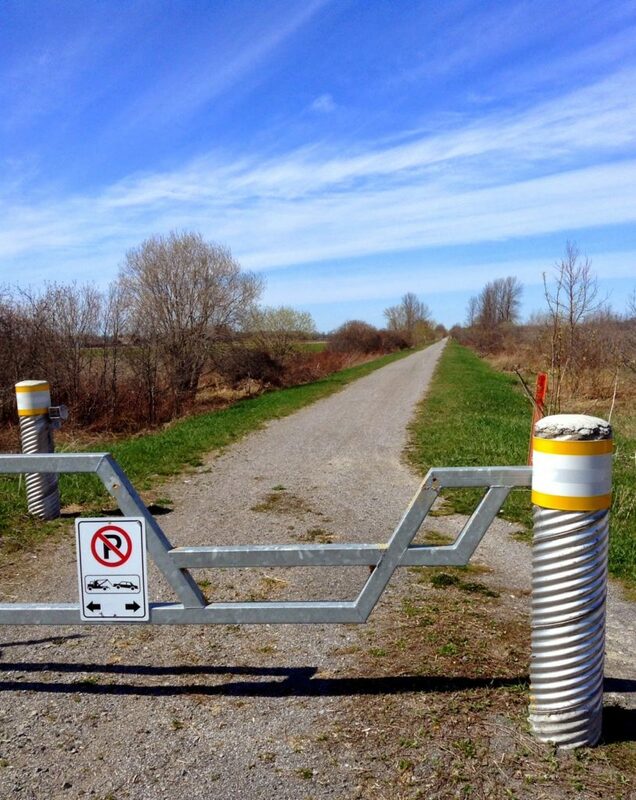 And everywhere we look, we see that nature is undergoing some ch-ch-ch changes of her own. Not just the new leaves on the trees. Or the grass in the pastures. 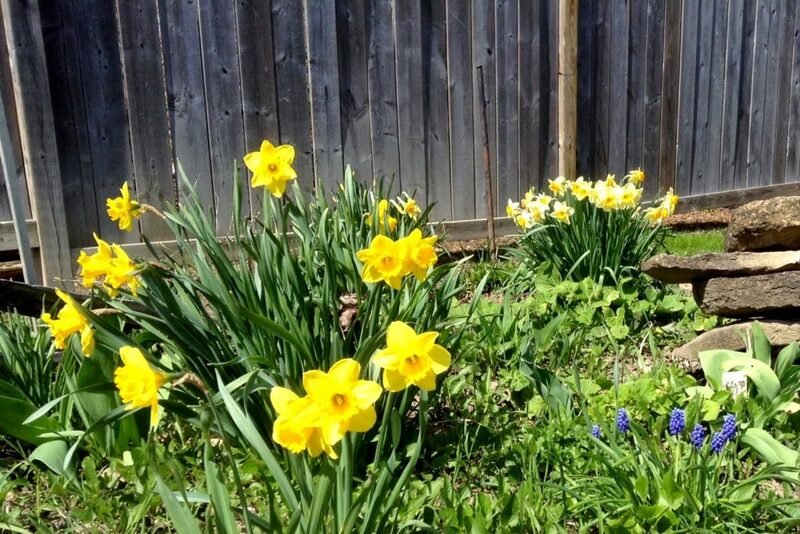 But flowers … flowers are everywhere. Under the trees in the bush. On the sunny banks by the side of the trail. Poking up through standing water. 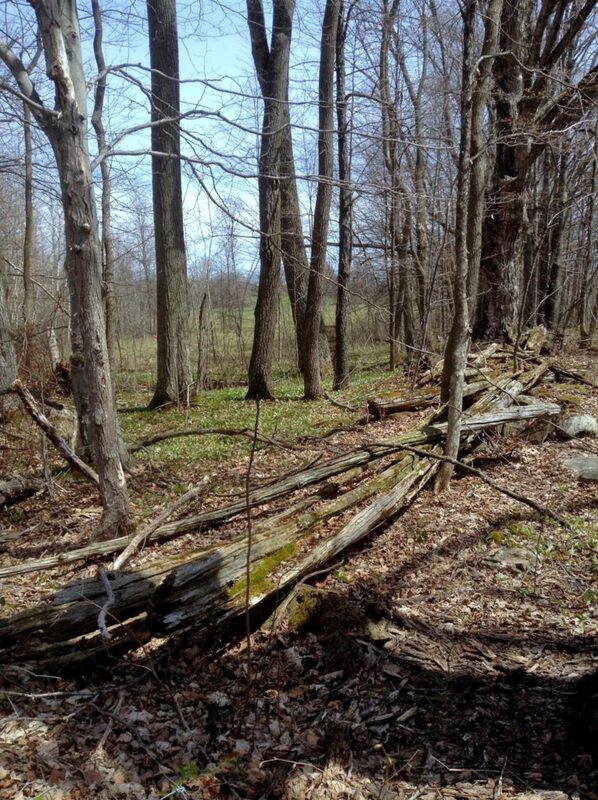 Along the remains of an old cedar-rail fence. 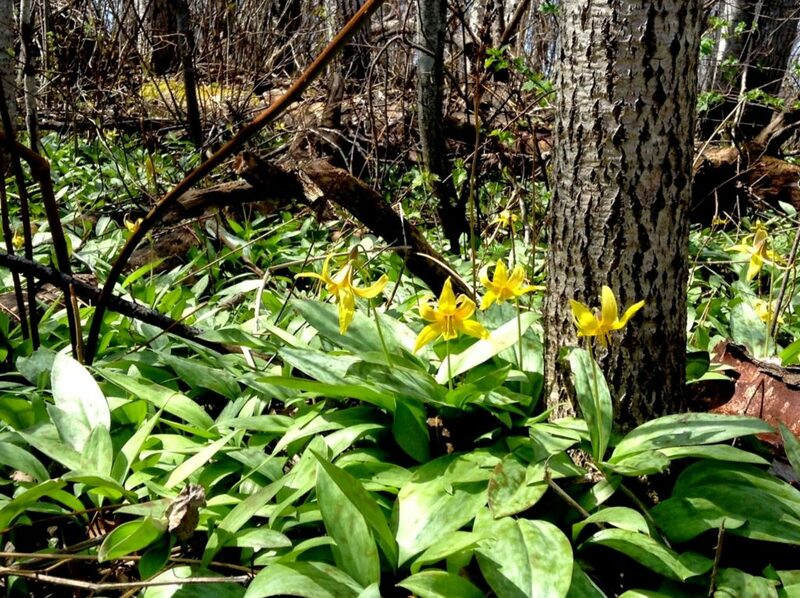 Thick carpets of Dogtooth Violets. 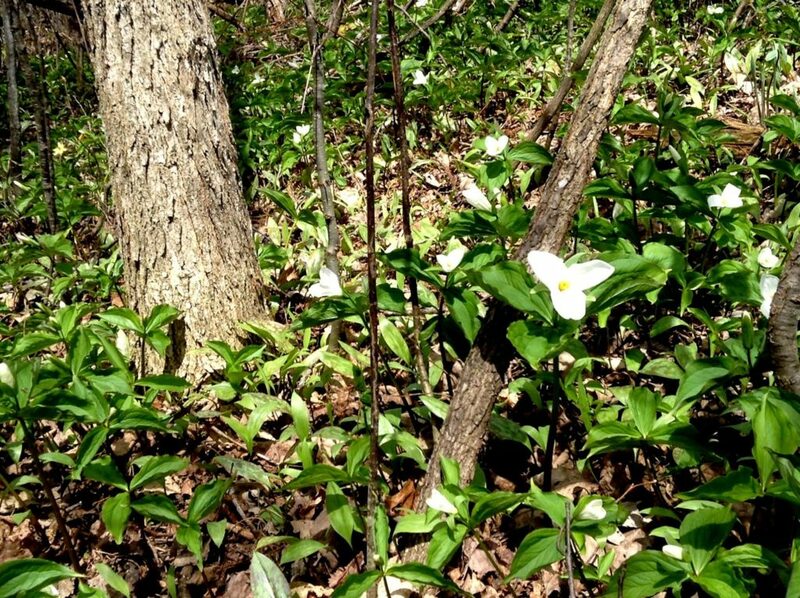 Small clusters of what I thought were Mayflowers. 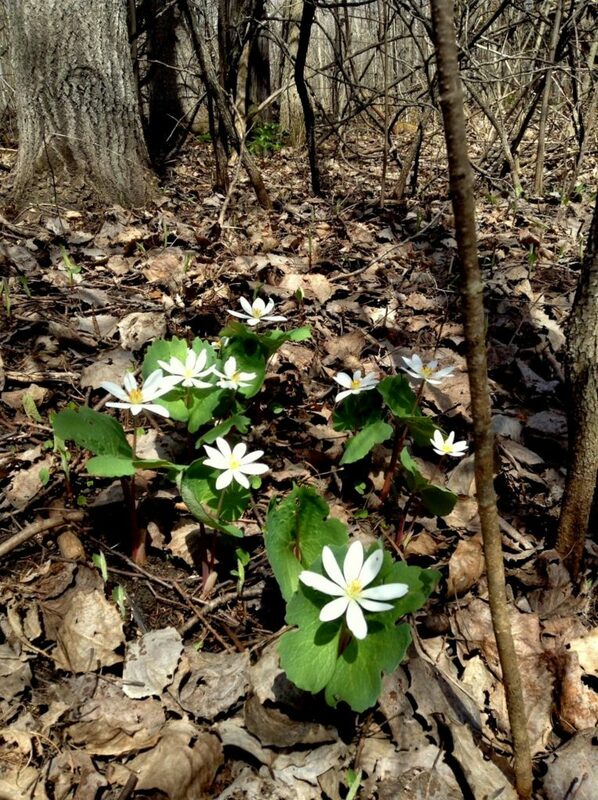 But are actually something called Bloodroot. 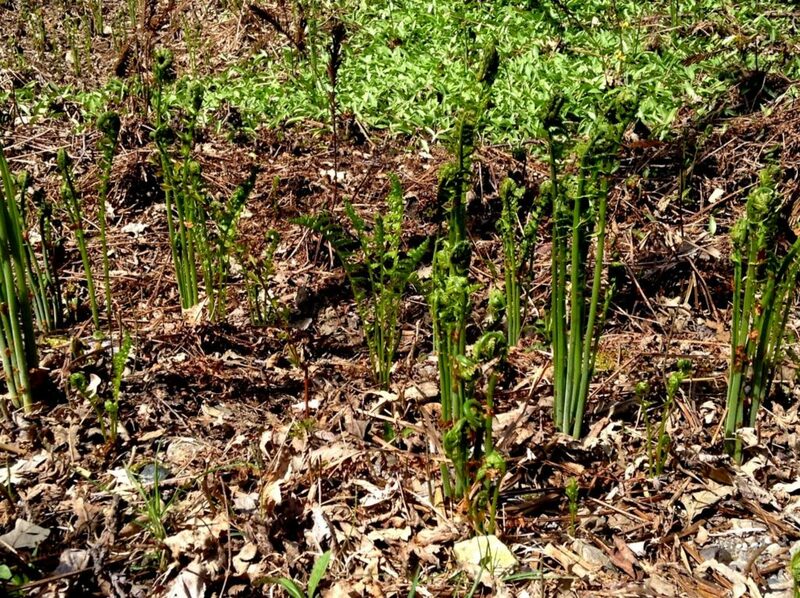 And while not a flower… still, a sight that is dear to every Maritimer’s heart (and stomach), those harbingers of spring … Fiddleheads. We have a wonderful two hours in the sunshine surrounded by birdsong. And we arrive back home to find that things have progressed nicely. Maybe they might be finished in two or three days? If we get good weather. Meanwhile…the sky has clouded over. We’re supposed to get quite a lot of rain tonight and tomorrow. And the eavestroughing is the last thing they will install. 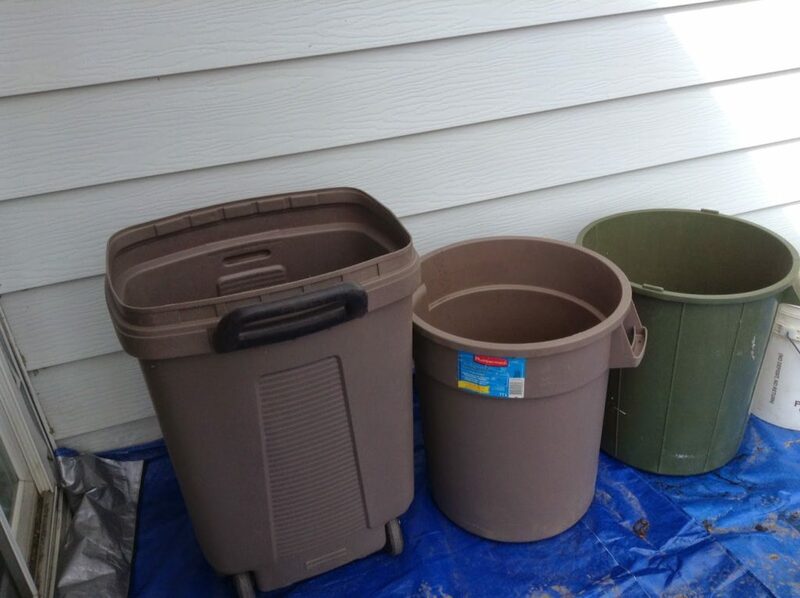 I can hear hubby dragging out the buckets and barrels… I must go help. Any ch-ch-ch changes out your way this spring? 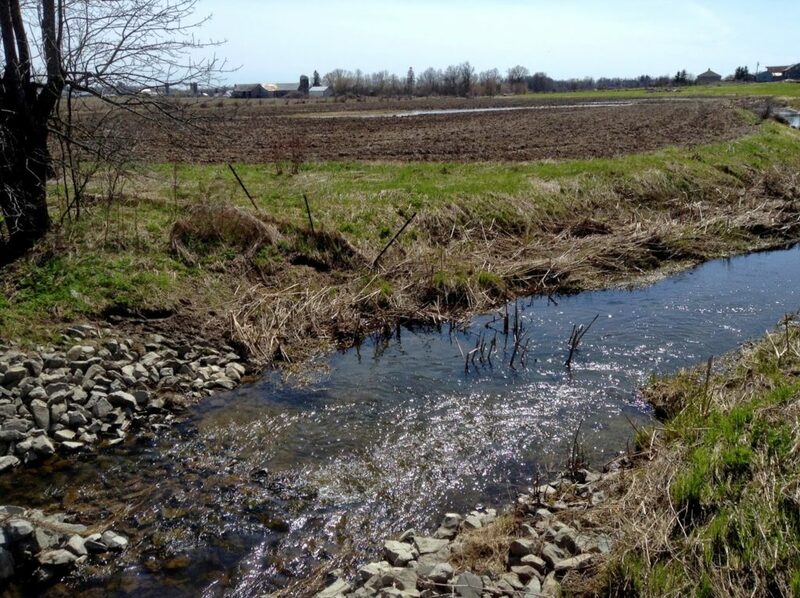 Wow….lots of work, but looking great! 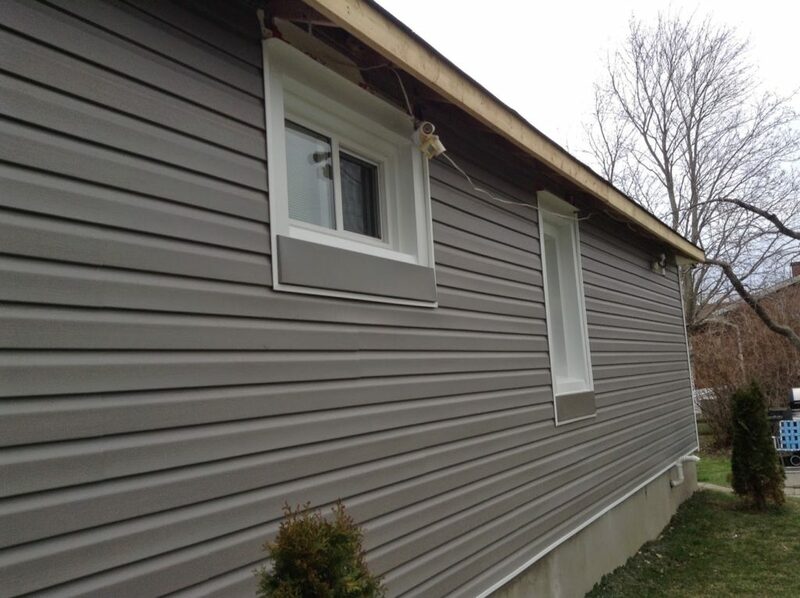 Looking great…..does Holt's sell siding? I wondered the same thing as milmer. Thanks for my morning chuckle, "Milmer" and "Anonymous." I'll have you know that I have expanded my shopping horizons since I retired. Less money and more time will do that!